Proving that the American South does not hold a monopoly on sexually depraved, bloodthirsty hillbillies, Killbilllies (aka: Idyll,Idila) depicts a harrowing tale of abduction, violence and hoped-for survival, in Slovenia's first ever horror movie. A group of fashionistas from the city, including models Zina and Mia, make-up artist Dragica and photographer Blitcz, begin to shoot on an idyllic countryside hilltop. But soon, two physically deformed psychopathic countrymen approach them and quickly attack. After the terrified group finds themselves chained in a basement and awaiting their gruesome fate, they decide they must fight no matter what the odds. A wild, bloody, taut clash ensues between urban and rural, women and men, between savages and civilized man. Directed by Tomaz Gorkic, KILLBILLIES is a fresh, sadistic take on such classics as The Hills Have Eyes and The Texas Chainsaw Massacre. 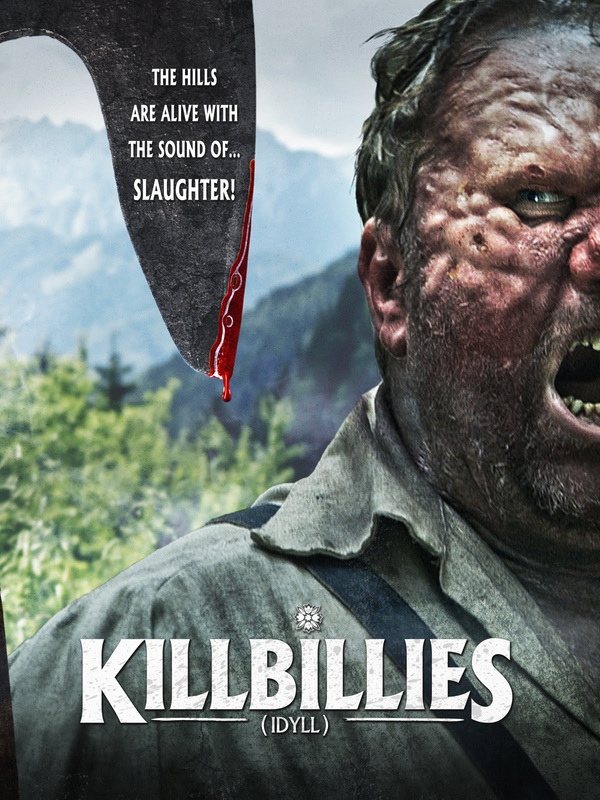 KILLBILLIES will be released 25 October 2016 on DVD and VOD/Streaming. Killbillies - Trailer from artsploitation on Vimeo.